Al-Mulathamun Brigade“Country Reports on Terrorism 2013: Chapter 6: Foreign Terrorist Organizations,” U.S. Department of State, April 2014, http://www.state.gov/documents/organization/225886.pdf. Al-Mulathamun Masked Ones Brigade“Country Reports on Terrorism 2013: Chapter 6: Foreign Terrorist Organizations,” U.S. Department of State, April 2014, http://www.state.gov/documents/organization/225886.pdf. Al Murabitoon – Al Qaeda in West AfricaThomas Joscelyn, “Mokhtar Belmokhtar now leads ‘Al Qaeda in West Africa,” Long War Journal, August 13, 2015, http://www.longwarjournal.org/archives/2015/08/mokhtar-belmokhtar-now-leads-al-qaeda-in-west-africa.php. Al-Murabitoun“Country Reports on Terrorism 2013: Chapter 6: Foreign Terrorist Organizations,” U.S. Department of State, April 2014, http://www.state.gov/documents/organization/225886.pdf. Al-Muwaqqi'un bil-Dima“Country Reports on Terrorism 2013: Chapter 6: Foreign Terrorist Organizations,” U.S. Department of State, April 2014, http://www.state.gov/documents/organization/225886.pdf. Khaled Abu al-Abbas Brigade“Country Reports on Terrorism 2013: Chapter 6: Foreign Terrorist Organizations,” U.S. Department of State, April 2014, http://www.state.gov/documents/organization/225886.pdf. Masked Men Brigade“Country Reports on Terrorism 2013: Chapter 6: Foreign Terrorist Organizations,” U.S. Department of State, April 2014, http://www.state.gov/documents/organization/225886.pdf. Signatories in Blood“Country Reports on Terrorism 2013: Chapter 6: Foreign Terrorist Organizations,” U.S. Department of State, April 2014, http://www.state.gov/documents/organization/225886.pdf. Signed-in-Blood Battalion“Country Reports on Terrorism 2013: Chapter 6: Foreign Terrorist Organizations,” U.S. Department of State, April 2014, http://www.state.gov/documents/organization/225886.pdf. The Sentinels“Country Reports on Terrorism 2013: Chapter 6: Foreign Terrorist Organizations,” U.S. Department of State, April 2014, http://www.state.gov/documents/organization/225886.pdf. Those Signed in Blood Battalion“Country Reports on Terrorism 2013: Chapter 6: Foreign Terrorist Organizations,” U.S. Department of State, April 2014, http://www.state.gov/documents/organization/225886.pdf. Those who Sign in Blood“Country Reports on Terrorism 2013: Chapter 6: Foreign Terrorist Organizations,” U.S. Department of State, April 2014, http://www.state.gov/documents/organization/225886.pdf. Witnesses in Blood“Country Reports on Terrorism 2013: Chapter 6: Foreign Terrorist Organizations,” U.S. Department of State, April 2014, http://www.state.gov/documents/organization/225886.pdf. Al-Mourabitoun (“The Sentinels”) is a violent, jihadist terrorist group in West Africa that aims to implement sharia (Islamic law). The group was formed from a 2013 merger between al-Mulathamun (“The Masked Men”) Battalion (AMB) and the Movement for Unity and Jihad in West Africa (MUJAO).“Terrorist Designation of the Al-Mulathamun Battalion,” U.S. Department of State, December 18, 2013, http://www.state.gov/r/pa/prs/ps/2013/218880.htm. Both groups were offshoots of al-Qaeda in the Islamic Maghreb (AQIM).“Al-Murabitun,” Australian National Security, accessed June 17, 2015, http://www.nationalsecurity.gov.au/Listedterroristorganisations/Pages/Al-Murabitun.aspx. In December 2015, al-Mourabitoun merged with AQIMAssociated Press, “Mali: Group Merges With Al Qaeda,” New York Times, December 4, 2015, http://www.nytimes.com/2015/12/05/world/africa/mali-group-merges-with-al-qaeda.html. after a joint attack on the Radisson Blu hotel in Bamako, the Malian capital. This attack signaled a declaration of unity between both groups. Al-Mourabitoun has since taken the lead in AQIM operations, including a high-profile attack on a U.N. base in northern Mali.Conor Gaffey, “Peacekeeping in Mali: The U.N.’s Most Dangerous Mission,” Newsweek, June 12, 2016, http://www.newsweek.com/mali-un-mission-northern-mali-conflict-aqim-africa-peacekeeping-468907. According to the United Nations, al-Mourabitoun established ties with local Libyan tribes and marginalized groups in early 2017 in order to expand its operations into Libya.“Challenges in Countering Terrorism in Libya,” Joint open briefing of the Counter Terrorism Committee, the 1267/1989/2253 ISIL (Da’esh) and Al-Qaida Sanctions Committee, and the Libya Sanctions Committee, June 22, 2017, https://www.un.org/sc/ctc/wp-content/uploads/2017/06/Concept-Note-Joint-open-briefing-on-Libya-22-Jun-17.pdf. On March 2, 2017, al-Mourabitoun merged with AQIM and the local Jihadist groups Ansar al-Dine and the Macina Liberation Front to form Jamaat Nusrat al-Islam wal Muslimeen (JNIM).Thomas Joscelyn, “Analysis: Al Qaeda groups reorganize in West Africa,” Long War Journal, March 13, 2017, https://www.longwarjournal.org/archives/2017/03/analysis-al-qaeda-groups-reorganize-in-west-africa.php. The formation of JNIM represents al-Qaeda’s new emphasis on “unity” in order to strengthen jihadist groups and successfully implement sharia law in the Maghreb region.Thomas Joscelyn, “Analysis: Al Qaeda groups reorganize in West Africa,” Long War Journal, March 13, 2017, https://www.longwarjournal.org/archives/2017/03/analysis-al-qaeda-groups-reorganize-in-west-africa.php. Mokhtar Belmokhtar had previously split his AMB from AQIM in 2012.“Country Reports on Terrorism 2013: Chapter 6: Foreign Terrorist Organizations,” U.S. Department of State, April 2014, http://www.state.gov/documents/organization/225886.pdf. AMB orchestrated a January 2013 attack on a gas facility near In Amenas, Algeria, that left 38 civilians dead.“Terrorist Designation of the Al-Mulathamun Battalion,” U.S. Department of State, December 18, 2013, http://www.state.gov/r/pa/prs/ps/2013/218880.htm. In May 2013, AMB and MUJAO carried out twin suicide bombings in Niger that killed at least 20 people.“Terrorist Designation of the Al-Mulathamun Battalion,” U.S. Department of State, December 18, 2013, http://www.state.gov/r/pa/prs/ps/2013/218880.htm. After AMB’s August 2013 merger with the Mali-based MUJAO to form al-Mourabitoun, the newly formed group claimed that the region’s jihadist movement was “stronger than ever.”“Belmohktar’s militants ‘merge’ with Mali’s Mujao,” BBC News, August 22, 2013, http://www.bbc.com/news/world-us-canada-23796920. Al-Mourabitoun announced its intentions to “rout” France and its allies in the region.“Belmohktar’s militants ‘merge’ with Mali’s Mujao,” BBC News, August 22, 2013, http://www.bbc.com/news/world-us-canada-23796920. The group carried out attacks against French interests in the region, African military units coordinating against Islamist forces, and African civilians. Belmoktar has been falsely declared dead on numerous occasions. In 2013, the government of Chad announced Belmoktar had been killed in an antiterrorism operation in Mali. In early October 2015, an Algerian news channel reported that Belmoktar’s death had been announced by an al-Qaeda spokesman in a recorded audio message. A U.S. airstrike in Libya was reported to have killed Belmokhtar on June 14, 2015, although the United States has not confirmed his death.Reuters, “Libya Says 'Uncatchable' Veteran Militant Killed in U.S. Strike,” New York Times, June 15, 2015, http://www.nytimes.com/reuters/2015/06/15/world/africa/15reuters-usa-libya.html. Al-Mourabitoun later denied Belmokhtar had been killed and declared him its official leader in July 2015.Thomas Joscelyn, “Mokhtar Belmokhtar now leads ‘Al Qaeda in West Africa,” Long War Journal, August 13, 2015, http://www.longwarjournal.org/archives/2015/08/mokhtar-belmokhtar-now-leads-al-qaeda-in-west-africa.php. Al-Mourabitoun believes it has a “Shari’a-based duty” to unite Africa’s Muslims and Islamic movements against secular and non-Muslim influences, according to the Australian government.“Al-Murabitun,” Australian National Security, accessed June 17, 2015, http://www.nationalsecurity.gov.au/Listedterroristorganisations/Pages/Al-Murabitun.aspx. In particular, the group targets France and French interests in the region.“Al-Murabitun,” Australian National Security, accessed June 17, 2015, http://www.nationalsecurity.gov.au/Listedterroristorganisations/Pages/Al-Murabitun.aspx. The group’s stated goal is to “rout” France and its regional allies.“Belmohktar’s militants ‘merge’ with Mali’s Mujao,” BBC News, August 22, 2013, http://www.bbc.com/news/world-us-canada-23796920. To that end, al-Mourabitoun has accused France of killing “peaceful children, women and old men” during its 2013 intervention in Mali.Robbie Corey-Boulet, “Website: Terror group threatens France over Mali,” Associated Press, January 6, 2014, http://bigstory.ap.org/article/website-terror-group-threatens-france-over-mali. Both MUJAO and al-Mourabitoun originated as splinter groups of al-Qaeda’s affiliate in the region, AQIM.“Al-Murabitun,” Australian National Security, accessed June 17, 2015, http://www.nationalsecurity.gov.au/Listedterroristorganisations/Pages/Al-Murabitun.aspx. MUJAO’s stated goal was to spread jihad across West Africa.“Al-Murabitun,” Australian National Security, accessed June 17, 2015, http://www.nationalsecurity.gov.au/Listedterroristorganisations/Pages/Al-Murabitun.aspx. According to the Australian government, MUJAO objected to Algerian dominance of AQIM’s leadership.“Al-Murabitun,” Australian National Security, accessed June 17, 2015, http://www.nationalsecurity.gov.au/Listedterroristorganisations/Pages/Al-Murabitun.aspx. Al-Mourabitoun initially allied itself with al-Qaeda while remaining operationally independent.Dario Cristiani, “Ten Years of al-Qaeda in the Islamic Maghreb: Evolution and Prospects,” Jamestown Foundation, May 5, 2017, https://jamestown.org/program/ten-years-al-qaeda-islamic-maghreb-evolution-prospects/. While co-founder Adnan al-Sahrawi declared the group’s allegiance to ISIS in May 2015, co-founder Mokhtar Belmokhtar rejected the pledge and stated that the group’s shura (advisory) council had not yet ruled on an ISIS alliance.Agence France-Presse, “Belmokhtar's jihadist group in N.Africa vows allegiance to IS,” Yahoo News, May 14, 2015, http://news.yahoo.com/al-qaeda-linked-belmokhtar-group-n-africa-claims-001449854.html; Reuters, “Sahara Islamist Leader Belmokhtar Dismisses Islamic State Pledge: Report,” New York Times, May 17, 2015, http://www.nytimes.com/reuters/2015/05/17/world/africa/17reuters-sahara-militants.html. Al-Mourabitoun officially realigned itself with al-Qaeda in 2015, and renamed itself “Al Murabitoon – Al Qaeda in West Africa.”Thomas Joscelyn, “Mokhtar Belmokhtar now leads ‘Al Qaeda in West Africa,” Long War Journal, August 13, 2015, http://www.longwarjournal.org/archives/2015/08/mokhtar-belmokhtar-now-leads-al-qaeda-in-west-africa.php. On March 2, 2017, al-Mourabitoun merged with AQIM, Ansar al-Dine, and the Ansar al-Dine sub-group Macina Liberation Front to form Jamaat Nusrat al-Islam wal Muslimeen (JNIM). JNIM announced Ansar al-Dine’s former emir, Iyad Ag Ghali, as its leader.Dario Cristiani, “Ten Years of al-Qaeda in the Islamic Maghreb: Evolution and Prospects,” Jamestown Foundation, May 5, 2017, https://jamestown.org/program/ten-years-al-qaeda-islamic-maghreb-evolution-prospects/; Beligh Nabli, “L’unification du djihadisme sahelien,” L’Economiste, June 3, 2017, http://www.leconomistemaghrebin.com/2017/03/06/lunification-djihadisme-sahelien/. Ghali claimed that the factions had united “into one group” operating under “one emir” after al-Qaeda “sought unification according to Sharia law.”Thomas Joscelyn, “Analysis: Al Qaeda groups reorganize in West Africa,” Long War Journal, March 13, 2017, https://www.longwarjournal.org/archives/2017/03/analysis-al-qaeda-groups-reorganize-in-west-africa.php. While operating under a new name and new emir, JNIM appears to remain under the aegis of al-Qaeda. Ghali paid bayat (allegiance) to al-Qaeda central and AQIM emir Abdelmalek Droukdel, a.k.a. Abu Musab Abdul Wadoud.Thomas Joscelyn, “Analysis: Al Qaeda groups reorganize in West Africa,” Long War Journal, March 13, 2017, https://www.longwarjournal.org/archives/2017/03/analysis-al-qaeda-groups-reorganize-in-west-africa.php. Al-Mourabitoun’s specific leadership structure is unknown, although the group’s leaders were subsumed under the AQIM branch in late 2015. The AQIM-affiliated group appears to be governed by an emir and a shura council that sets the organization’s agenda. Al-Mourabitoun has not publicly named most of its leaders,“Al-Murabitun,” Australian National Security, accessed June 17, 2015, http://www.nationalsecurity.gov.au/Listedterroristorganisations/Pages/Al-Murabitun.aspx. although co-founder Adnan Abu Waleed al-Sahrawi described himself as the group’s emir in a May 2015 declaration of al-Mourabitoun’s allegiance to ISIS.Agence France-Presse, “Belmokhtar's jihadist group in N.Africa vows allegiance to IS,” Yahoo News, May 14, 2015, http://news.yahoo.com/al-qaeda-linked-belmokhtar-group-n-africa-claims-001449854.html. Co-founder Mokhtar Belmokhtar rejected the pledge a week later, raising the question of whether al-Sahrawi or Belmokhtar was more senior in the group’s hierarchy.Reuters, “Sahara Islamist Leader Belmokhtar Dismisses Islamic State Pledge: Report,” New York Times, May 17, 2015, http://www.nytimes.com/reuters/2015/05/17/world/africa/17reuters-sahara-militants.html. However, Sahrawi split from al-Mourabitoun following his pledge of loyalty to ISIS.Thomas Joscelyn and Caleb Weiss, “Islamic State recognizes oath of allegiance from jihadists in Mali,” Long War Journal, October 31, 2016, https://www.longwarjournal.org/archives/2016/10/islamic-state-recognizes-oath-of-allegiance-from-jihadists-in-west-africa.php. Belmokhtar revealed that al-Mourabitoun has a governing shura council, which he said had not yet approved the pledge to ISIS.Reuters, “Sahara Islamist Leader Belmokhtar Dismisses Islamic State Pledge: Report,” New York Times, May 17, 2015, http://www.nytimes.com/reuters/2015/05/17/world/africa/17reuters-sahara-militants.html. Al-Mourabitoun issued an online statement in July 2015 that its shura council had elected Belmokhtar the group’s new leader.Thomas Joscelyn, “Mokhtar Belmokhtar now leads ‘Al Qaeda in West Africa,” Long War Journal, August 13, 2015, http://www.longwarjournal.org/archives/2015/08/mokhtar-belmokhtar-now-leads-al-qaeda-in-west-africa.php. In March 2017, two additional al-Mourabitoun leaders were revealed: Abderrahmane al-Sanhadji, al-Mourabitoun’s top judge, and Elhacen Al-Ansari, its deputy leader.Mohamed Fall Oumère, “From the birth of a new "jihadistan" in the Sahel,” Le Monde Afrique (France), March 10, 2017, http://www.lemonde.fr/afrique/article/2017/03/10/naissance-d-un-nouveau-djihadistan-au-sahel_5092710_3212.html. Following al-Mourabitoun’s March 2017 merger with AQIM, Ansar al-Dine, and the Macina Liberation Front into JNIM, the relationship between the groups has shifted from one of collaboration to a structured hierarchy with AQIM at the top.Dario Cristiani, “Ten Years of al-Qaeda in the Islamic Maghreb: Evolution and Prospects,” Jamestown Foundation, May 5, 2017, https://jamestown.org/program/ten-years-al-qaeda-islamic-maghreb-evolution-prospects/. Ansar al-Dine emir Iyad ah-Ghali leads JNIM, but he has also reaffirmed his allegiance to AQIM emir Abu Musab Abdul Wadoud.Beligh Nabli, “L’unification du djihadisme sahelien,” L’Economiste, June 3, 2017, http://www.leconomistemaghrebin.com/2017/03/06/lunification-djihadisme-sahelien/. According to Malian and Mauritanian security sources, al-Mourabitoun’s top judge, Abderrahmane al-Sanhadji, replaced Mokhtar Belmokhtar as emir of al-Mourabitoun after its merger into JNIM.Malek Bachir, “EXCLUSIVE: Notorious leader of Saharan al-Qaeda group loses power,” Middle East Eye, May 9, 2017, http://www.middleeasteye.net/news/exclusive-belmokhtar-dismissed-leadership-al-mourabitoun-274790462. Al-Mourabitoun and JNIM have not confirmed the change in leadership. Al-Mourabitoun is likely funded through kidnapping ransoms and criminal activities, according to the U.S. State Department.“Country Reports on Terrorism 2013: Chapter 6: Foreign Terrorist Organizations,” U.S. Department of State, April 2014, http://www.state.gov/documents/organization/225886.pdf. The group also likely receives funding through its connections to other terrorist organizations.“Country Reports on Terrorism 2013: Chapter 6: Foreign Terrorist Organizations,” U.S. Department of State, April 2014, http://www.state.gov/documents/organization/225886.pdf. MUJAO had previously received funding through regional drug smuggling.“Al-Murabitun,” Australian National Security, accessed June 17, 2015, http://www.nationalsecurity.gov.au/Listedterroristorganisations/Pages/Al-Murabitun.aspx. MUJAO had also been involved in a 2011 kidnapping of three aid workers in Algeria who were later released in exchange for a ransom payment.“Al-Murabitun,” Australian National Security, accessed June 17, 2015, http://www.nationalsecurity.gov.au/Listedterroristorganisations/Pages/Al-Murabitun.aspx. Al-Mourabitoun largely consists of former AQIM members who left with AMB and MUJAO.“Al-Murabitun,” Australian National Security, accessed June 17, 2015, http://www.nationalsecurity.gov.au/Listedterroristorganisations/Pages/Al-Murabitun.aspx. Al-Mourabitoun’s primary recruiting area includes northern and western Africa, particularly Algeria, Mauritania, Mali, and Niger.“Al-Murabitun,” Australian National Security, accessed June 17, 2015, http://www.nationalsecurity.gov.au/Listedterroristorganisations/Pages/Al-Murabitun.aspx. The organization relies heavily upon recruiting locally, as Malians now make up the largest ethnic group in al-Mourabitoun.Olivier Guitta, “The re-emergence of AQIM in Africa,” Al Jazeers, March 20, 2016, http://www.aljazeera.com/indepth/opinion/2016/03/emergence-aqim-africa-160320090928469.html. According to the United Nations, al-Mourabitoun established ties with local Libyan tribes and marginalized groups in early 2017 in order to expand its operations into Libya.“Challenges in Countering Terrorism in Libya,” Joint open briefing of the Counter Terrorism Committee, the 1267/1989/2253 ISIL (Da’esh) and Al-Qaida Sanctions Committee, and the Libya Sanctions Committee, June 22, 2017, https://www.un.org/sc/ctc/wp-content/uploads/2017/06/Concept-Note-Joint-open-briefing-on-Libya-22-Jun-17.pdf. However this is not the first time that al-Moutabitoun has tried to expand into Libya. In June 2015, a U.S. airstrike targeted Mokhtar Belmokhtar near Tobruk, Libya. In 2011, Belmokhtar visited an al-Qaeda training camp in Libya where he recruited the former al-Mourabitoun emir Abu Bakr al-Nasri.“Libya says former al-Qaeda leader killed in US strike,” Al-Jazeera, Jun2 15, 2015, http://www.aljazeera.com/news/2015/06/airstrike-targets-al-qaeda-fighters-libya-150614214420506.html; Christine Muratat, “Mali: qui sont les nouveaux chefs des katibas jihadistes?” Radio France International: Afrique, 14 May, 2014, http://www.rfi.fr/afrique/20140514-mali-etat-jihadistes-apres-mort-emir-al-mourabitoune-aqmi-al-qaida-mujao-belmokhtar/. Both of al-Mourabitoun’s emirs, Mokhtar Belmokhtar and his predecessor Abu Bakr al-Nasri, first trained and fought against the Soviet Union in Afghanistan in the 1980s.“Profile: Mokhtar Belmokhtar,” BBC, June 15, 2015, http://www.bbc.com/news/world-africa-21061480; Dario Cristiani, “ Al-Murabitun: North Africa’s Jihadists Reach into History in Their Battle against European “Crusaders”,” Jamestown Foundation, October 17, 2013, https://jamestown.org/program/al-murabitun-north-africas-jihadists-reach-into-history-in-their-battle-against-european-crusaders/. Both men trained in al-Qaeda training camps in the 1990s, and Belmokhtar first met and recruited al-Nasri from one such camp in Libya in 2011.“Mapping Militant Organizations,” Stanford University, August 8, 2016, http://web.stanford.edu/group/mappingmilitants/cgi-bin/groups/view/613?highlight=AQIM; Christine Muratat, “Mali: qui sont les nouveaux chefs des katibas jihadistes?” Radio France International: Afrique, 14 May, 2014, http://www.rfi.fr/afrique/20140514-mali-etat-jihadistes-apres-mort-emir-al-mourabitoune-aqmi-al-qaida-mujao-belmokhtar/. French forces killed Nasri in April 2014.“Mapping Militant Organizations,” Stanford University, August 8, 2016, http://web.stanford.edu/group/mappingmilitants/cgi-bin/groups/view/613?highlight=abu+bakr+al-baghdadi. AQIM previously ran a training camp in Timbuktu, Mali, until the camp was destroyed in an airstrike.“Al-Qaeda,” Counter Extremism Project, accessed June 18, 2015, http://www.nationalsecurity.gov.au/Listedterroristorganisations/Pages/Al-Murabitun.aspx. Recruits ate, slept, and trained together in the camp.“Al-Qaeda,” Counter Extremism Project, accessed June 18, 2015, http://www.nationalsecurity.gov.au/Listedterroristorganisations/Pages/Al-Murabitun.aspx. Al-Qaeda also utilizes proxy training facilities provided by like-minded groups.“Al-Qaeda,” Counter Extremism Project, accessed June 18, 2015, http://www.nationalsecurity.gov.au/Listedterroristorganisations/Pages/Al-Murabitun.aspx. Al-Mourabitoun’s leadership has maintained contact with AQIM, particularly through Djamel Okacha, AQIM’s leader in West Africa.“The List established and maintained by the 1267/1989 Committee,” U.N. Security Council, last updated May 22, 2015, http://www.un.org./sc/committees/1267/1267.pdf/. Mokhtar Belmokhtar first came to international attention with his January 2013 attack on the Tiguentourine gas facility in southeastern Algeria where his group, al-Mulathamun Battalion (AMB), took 800 people hostage, ultimately killing 39 of them.“Country Reports on Terrorism 2013: Chapter 6: Foreign Terrorist Organizations,” U.S. Department of State, April 2014, http://www.state.gov/documents/organization/225886.pdf. Since then, Belmokhtar and al-Mourabitoun have expanded their operations into Mali, Burkino Faso, and Côte d'Ivoire. Al-Mourabitoun has kidnapped diplomats and aid workers and conducted at least 11 suicide bombings against both European and African soldiers and civilians. Following al-Mourabitoun’s merger with AQIM and the formation of JNIM, most of the group’s attacks have been attributed to either AQIM or JNIM. However, al-Mourabitoun still acts independently on some operations. April 2012: MUJAO kidnaps seven Algerian diplomats in Mali.Laurent Prieur, “Saharah Islamists release video of Algerian diplomat hostage – agency,” Reuters, April 13, 2014, http://www.reuters.com/article/2014/04/13/algeria-islamist-kidnapping-idUSL6N0N50OF20140413. June 30, 2012: MUJAO claims responsibility for a suicide bombing of the Algerian national gendarmerie headquarters in Ouargla, Algeria.“Al-Murabitun,” Australian National Security, accessed June 17, 2015, http://www.nationalsecurity.gov.au/Listedterroristorganisations/Pages/Al-Murabitun.aspx. December 2012: MUJAO claims responsibility for the kidnapping of a Portuguese-French citizen in Mali.“Al-Murabitun,” Australian National Security, accessed June 17, 2015, http://www.nationalsecurity.gov.au/Listedterroristorganisations/Pages/Al-Murabitun.aspx. January 2013: AMB takes over 800 people hostage during a four-day siege of the Tiguentourine gas facility in southeastern Algeria. Thirty-nine civilians, including three U.S. citizens, are killed.“Country Reports on Terrorism 2013: Chapter 6: Foreign Terrorist Organizations,” U.S. Department of State, April 2014, http://www.state.gov/documents/organization/225886.pdf. Belmokhtar claims responsibility for what is considered one of the worst international hostage crises in decades.Lamine Chikhi, “WRAPUP 6-Algeria hostage crisis death toll hits 80, could rise further,” Reuters, January 20, 2013, http://www.reuters.com/article/2013/01/20/sahara-crisis-idUSL6N0AO37H20130120; Lamine Chikhi, “WRAPUP 8-Algeria accuses Canadian, puts hostage toll at 38,” Reuters, January 21, 2013, http://www.reuters.com/article/2013/01/21/sahara-crisis-idUSL6N0AP4TU20130121. February 2013: A Mujao car-bombing targets Tuareg separatist group the Liberation of the Azawad (MNLA) at In-Khalil, Mali. The Mujao reportedly believed the MNLA was allied with French troops.“Al-Murabitun,” Australian National Security, accessed June 17, 2015, http://www.nationalsecurity.gov.au/Listedterroristorganisations/Pages/Al-Murabitun.aspx. May 23, 2013: AMB and the Mali-based MUJAO (Movement for Oneness and Jihad) jointly carry out twin suicide attacks in Niger on a military camp and uranium mine run by the French company Areva. The attacks kill 24 soldiers and one civilian.“Niger attacks launched from southern Libya - Niger's president,” Reuters, May 25, 2013, http://www.reuters.com/article/2013/05/25/niger-attacks-libya-idUSL5N0E60DD20130525; “The List established and maintained by the 1267/1989 Committee,” U.N. Security Council, last modified May 22, 2015, http://www.un.org./sc/committees/1267/1267.pdf/. July 2013: MUJAO releases a video of two of its members encouraging Muslims in France and the United States to carry out terrorist attacks.“Al-Murabitun,” Australian National Security, accessed June 17, 2015, http://www.nationalsecurity.gov.au/Listedterroristorganisations/Pages/Al-Murabitun.aspx. October 2013: Al-Mourabitoun claims responsibility for firing rockets at the Gao airport in Mali. The group also fires mortar shells at two bridges in Gao, destroying one.“Al-Murabitun,” Australian National Security, accessed June 17, 2015, http://www.nationalsecurity.gov.au/Listedterroristorganisations/Pages/Al-Murabitun.aspx; Country Reports on Terrorism 2013: Chapter 6: Foreign Terrorist Organizations,” U.S. Department of State, April 2014, http://www.state.gov/documents/organization/225886.pdf. October 23, 2013: Four suicide bombers detonate IEDs near a military camp in Mali’s Kidal region. The bombers target a Chadian contingent of MINUSMA forces. Two Chadian soldiers, one Malian civilian, and the four bombers are killed, while at least six others are wounded. AMB claims responsibility in the press.Country Reports on Terrorism 2013: Chapter 6: Foreign Terrorist Organizations,” U.S. Department of State, April 2014, http://www.state.gov/documents/organization/225886.pdf. November 2013: Four soldiers die in an IED attack on a Malian army vehicle between Asongo and Menaka. 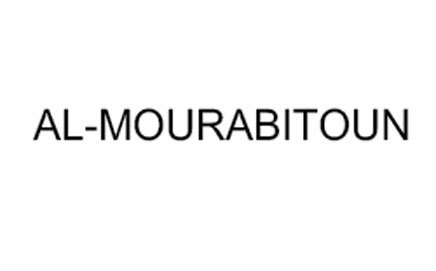 Al-Mourabitoun claims responsibility.“Al-Murabitun,” Australian National Security, accessed June 17, 2015, http://www.nationalsecurity.gov.au/Listedterroristorganisations/Pages/Al-Murabitun.aspx. November 2013: A suicide bomber attacks the French barracks in Menaka, Mali. Al-Mourabitoun claims responsibility and asserts the bombing killed French soldiers. The French military says only the bomber was killed.“Al-Murabitun,” Australian National Security, accessed June 17, 2015, http://www.nationalsecurity.gov.au/Listedterroristorganisations/Pages/Al-Murabitun.aspx. November 14, 2013: Sultan Ould Badi, a Malian formerly affiliated with MUJAO and currently affiliated with AMB, claimed responsibility for a vehicle-borne IED that detonated at the Malian Solidarity Bank in the northern city of Kidal. The explosion killed two Senegalese MINUSMA troops and injured seven Malian Armed Forces who were guarding the bank. The perpetrator died in the bombing.Country Reports on Terrorism 2013: Chapter 6: Foreign Terrorist Organizations,” U.S. Department of State, April 2014, http://www.state.gov/documents/organization/225886.pdf. January 4, 2014: Al-Mourabitoun threatens to target the interests of “France and her allies” in a statement sent to the Mauritanian website Nouakchott Information Agency.Robbie Corey-Boulet, “Website: Terror group threatens France over Mali,” Associated Press, January 6, 2014, http://bigstory.ap.org/article/website-terror-group-threatens-france-over-mali. February 8, 2014: Al-Mourabitoun kidnaps five Malian aid workers were near Gao, Mali.Currently Listed Entities,” Public Safety Canada, last updated March 24, 2014, http://www.ibtimes.com/isis-threatens-eliminate-indias-central-bank-governor-raghuram-rajan-report-18843http://www.publicsafety.gc.ca/cnt/ntnl-scrt/cntr-trrrsm/lstd-ntts/crrnt-lstd-ntts-eng.aspx. April 11, 2014: Al-Mourabitoun sends Mauritania's ANI news agency a video of one of three Algerian diplomats it is holding hostage. MUJAO had kidnapped seven diplomats in April 2012 in Mali. Three were released and one was reportedly executed. The video is the first proof of life since January 2013.Laurent Prieur, “Saharah Islamists release video of Algerian diplomat hostage – agency,” Reuters, April 13, 2014, http://www.reuters.com/article/2014/04/13/algeria-islamist-kidnapping-idUSL6N0N50OF20140413. March 7, 2015: Al-Mourabitoun claims responsibility after an attack on the La Terrasse restaurant in Bamako, Mali, kills five people, including a Frenchman and a Belgian.Baba Ahmed, “Mali officials: 1 killed, 3 injured in attack in north,” Associated Press, April 5, 2015, http://bigstory.ap.org/article/bc94eff4a46f40ebbdba8c74ebf1f9e3/mali-officials-1-killed-3-injured-attack-north. March 13, 2015: Malian security forces are attacked while trying to arrest Mohamed Tanirou Cisse, the suspected driver who drove attackers to the La Terrasse a week earlier. Cisse is killed while resisting arrest.Baba Ahmed, “Special forces kill Mali attack suspect, army official says,” Reuters, March 13, 2015, http://bigstory.ap.org/article/fbfd43635d6e40e8975a9b948067e9a2/special-forces-kill-mali-attack-suspect-army-official-says. April 15, 2015: An attack on a U.N. peacekeeping base in Ansogo, Mali, kills three people and wounds 16. Al-Mourabitoun claims responsibility.Tiemoko Diallo and Adama Diarra, “Islamist group claims attack on U.N. peacekeepers in Mali,” Reuters, April 18, 2015, http://www.reuters.com/article/2015/04/18/us-mali-un-idUSKBN0N90F920150418. May 18, 2015: Al-Mourabitoun announces it kidnapped a Romanian citizen on April 4 in Burkina Faso.Rukmini Callimachi, “Militant Group Says It Has Romanian Hostage,” New York Times, May 18, 2015, http://www.nytimes.com/2015/05/19/world/middleeast/militant-group-says-it-has-romanian-hostage.html. November 20, 2015: Al-Mourabitoun claims responsibility for a deadly gun and hostage attack on the Radisson Blu Hotel in Bamako, Mali, allegedly as part of a joint attack with AQIM. According to U.N. spokesman Olivier Salgado, 21 people were killed in the attack when gunmen stormed the hotel using counterfeit diplomatic license plates.Faith Karimi and Erin Burnett, "Mali hotel attack: Gunmen barged in, shot at 'anything that moved,'" CNN, November 22, 2015, http://www.cnn.com/2015/11/21/africa/mali-hotel-attack/. Tim Lister, "Burkina Faso attack demonstrates al Qaeda revival in Africa," CNN, January 16, 2016, http://www.cnn.com/2016/01/16/world/burkina-faso-attack-al-qaeda/; Drew Hinshaw and Zoumana Wonogo, “Al Qaeda Attacks in Burkina Faso Kill at Least 30,” Wall Street Journal, January 17, 2016, http://www.wsj.com/articles/operation-ends-at-burkina-faso-hotel-seized-by-al-qaeda-1452936866. February 5, 2016: In an audio message, al-Mourabitoun claims it abducted an Australian doctor and his wife in Burkina Faso the previous month but plans on releasing the wife as it does “not target women in times of war.”Merieme Arif, “Al Qaeda group says it holds two Australians,” CNN, February 5, 2016, http://www.cnn.com/2016/02/05/world/burkina-faso-australians-kidnapping-claim/index.html. Al-Mourabitoun releases the doctor’s wife two days late, but continues to hold the doctor and five others hostage, including three women.Faith Karimi, “Australian woman freed by al Qaeda-linked kidnappers,” CNN, February 7, 2016, http://www.cnn.com/2016/02/07/africa/burkina-faso-kidnapped-australian-released/index.html; Caleb Weiss, “Al Qaeda video shows its hostages in northern Mali,” Long War Journal, July 2, 2017, https://www.longwarjournal.org/archives/2017/07/al-qaeda-video-shows-its-hostages-in-northern-mali.php. March 16, 2016: Al-Mourabitoun claims responsibility alongside AQIM for a joint attack on a hotel in Côte d'Ivoire, which leaves 19 dead.Conor Gaffey, “IVORY COAST ATTACK: AL-QAEDA SAYS BEACH SIEGE WAS REVENGE AGAINST FRANCE,” Newsweek, March 16, 2016, http://www.newsweek.com/ivory-coast-attack-al-qaeda-says-beach-siege-was-revenge-against-france-437279. May 31, 2016: An al-Mourabitoun suicide bomber detonates near the U.N. airport in Gao, Mali, killing a Chinese peacekeeper and three others.Caleb Weiss, “AQIM claims two attacks in northern Mali,” Long War Journal, November 30, 2016, https://www.longwarjournal.org/archives/2016/11/aqim-claims-two-attacks-in-northern-mali.php. January 19, 2017: Al-Mourabitoun claims responsibility for a suicide bombing in a Malian army camp outside Gao, Mali, which kills 77.Angela Dewan and Mohammed Tawfeeq, “Mali suicide bombing: Al Qaeda-linked group claims responsibility,” CNN, January 19, 2017, http://www.cnn.com/2017/01/19/africa/mali-military-bombing/index.html; “Three U.N. peacekeepers killed in northern Mali attack,” Reuters, June 9, 2017, https://www.reuters.com/article/us-mali-security/three-u-n-peacekeepers-killed-in-northern-mali-attack-idUSKBN1901TA. October 24, 2003: The U.S. Department of the Treasury designated Mokhtar Belmokhtar a Specially Designated Global Terrorist.“U.S. Designates Three Individuals And One Organization Involved In Terrorism In Algeria,” U.S. Department of the Treasury, October 24, 2003, http://www.treasury.gov/press-center/press-releases/Pages/js944.aspx; “Recent OFAC Actions,” U.S. Department of the Treasury, October 24, 2003, http://www.treasury.gov/resource-center/sanctions/OFAC-Enforcement/pages/20031024.aspx. December 7, 2012: The U.S. Department of State designated the Movement for Unity and Jihad in West Africa (MUJWA, also known by MUJAO) a Specially Designated Global Terrorist under Executive Order 13224.“Terrorist Designations of the Movement for Unity and Jihad in West Africa, Hamad el Khairy, and Ahmed el Tilemsi,” U.S. Department of State, December 7, 2012, http://www.state.gov/r/pa/prs/ps/2012/12/201660.htm. December 7, 2012: The U.S. Department of State designated MUJAO leaders Hamad el Khairy and Ahmed el Tilemsi Specially Designated Global Terrorists under Executive Order 13224.“Terrorist Designations of the Movement for Unity and Jihad in West Africa, Hamad el Khairy, and Ahmed el Tilemsi,” U.S. Department of State, December 7, 2012, http://www.state.gov/r/pa/prs/ps/2012/12/201660.htm. December 18, 2013: The U.S. Department of State designated the “al-Mulathamun Battalion” a Foreign Terrorist Organization and a Specially Designated Global Terrorist entity. The State Department included “al-Murabitoun” as an alias of AMB.“Terrorist Designation of the Al-Mulathamum Battalion,” U.S. Department of State, December 18, 2013, http://www.state.gov/r/pa/prs/ps/2013/218880.htm. September 5, 2018: The U.S. Department of State designated Jama’at Nusrat al-Islam wal-Muslimin (JNIM) as a foreign terrorist organization.“State Department Terrorist Designation of Jama’at Nusrat al-Islam wal-Muslimin (JNIM),” U.S. Department of State, September 5, 2018, https://www.state.gov/r/pa/prs/ps/2018/09/285705.htm. November 7, 2013: Canada designated “al-Muwaqi’un Bil Dima” a terrorist organization.Currently Listed Entities,” Public Safety Canada, last updated March 24, 2014, http://www.publicsafety.gc.ca/cnt/ntnl-scrt/cntr-trrrsm/lstd-ntts/crrnt-lstd-ntts-eng.aspx. December 5, 2012: New Zealand designated “Mouvement pour l’Unification et le Jihad en Afrique de l’Ouest (MUJAO)” a terrorist organization.“Designated individuals and organisations,” New Zealand Police, May 23, 2015, http://www.police.govt.nz/sites/default/files/publications/designated-entities-23-05-2015.pdf. June 2, 2014: Canada designated “al-Murabitoun” a terrorist organization.Currently Listed Entities,” Public Safety Canada, last updated March 24, 2014, http://www.publicsafety.gc.ca/cnt/ntnl-scrt/cntr-trrrsm/lstd-ntts/crrnt-lstd-ntts-eng.aspx. June 2, 2014: New Zealand designated al-Mourabitoun a terrorist organization.“Designated individuals and organisations,” New Zealand Police, May 23, 2015, http://www.police.govt.nz/sites/default/files/publications/designated-entities-23-05-2015.pdf. June 2, 2014: Canada designated “Movement for Oneness and Jihad in West Africa” a terrorist organization.Currently Listed Entities,” Public Safety Canada, last updated March 24, 2014, http://www.publicsafety.gc.ca/cnt/ntnl-scrt/cntr-trrrsm/lstd-ntts/crrnt-lstd-ntts-eng.aspx. June 2, 2014: New Zealand designated al-Mulathomoun a terrorist organization.“Designated individuals and organisations,” New Zealand Police, May 23, 2015, http://www.police.govt.nz/sites/default/files/publications/designated-entities-23-05-2015.pdf. April 2, 2014: The United Arab Emirates designated al-Mourabitoun a terrorist organization.“Government bans three alleged terrorist groups,” BBC Democracy Live, April 2, 2014, http://www.bbc.co.uk/democracylive/house-of-commons-26852754. June 16, 2014: The United Kingdom added al-Mourabitoun to its list of proscribed terrorist organizations.“Proscribed Terrorist Organizations,” U.K. Home Office, last modified March 27, 2015, https://www.gov.uk/government/uploads/system/uploads/attachment_data/file/417888/Proscription-20150327.pdf. June 2, 2014: The United Nations added al-Mourabitoun to its Al-Qaida and associated individuals and entities list.“The List established and maintained by the 1267/1989 Committee,” U.N. Security Council, last updated May 22, 2015, http://www.un.org./sc/committees/1267/1267.pdf/. November 5, 2014: Australia listed “al-Murabitun” as a terrorist organization.“Al-Murabitun,” Australian National Security, accessed June 17, 2015, http://www.nationalsecurity.gov.au/Listedterroristorganisations/Pages/Al-Murabitun.aspx. Mokhtar Belmokhtar is a former commander in al-Qaeda’s North African franchise, AQIM. He left the group to form the al-Mulathamun Battalion in December 2012.Currently Listed Entities,” Public Safety Canada, last updated March 24, 2014, http://www.publicsafety.gc.ca/cnt/ntnl-scrt/cntr-trrrsm/lstd-ntts/crrnt-lstd-ntts-eng.aspx; Country Reports on Terrorism 2013: Chapter 6: Foreign Terrorist Organizations,” U.S. Department of State, April 2014, http://www.state.gov/documents/organization/225886.pdf. MUJAO is also a splinter group of AQIM.“Al-Murabitun,” Australian National Security, accessed June 17, 2015, http://www.nationalsecurity.gov.au/Listedterroristorganisations/Pages/Al-Murabitun.aspx. Al-Mourabitoun coordinated with al-Qaeda and AQIM in its May 2013 attack in Niger.“The List established and maintained by the 1267/1989 Committee,” U.N. Security Council, last updated May 22, 2015, http://www.un.org./sc/committees/1267/1267.pdf/. The United Nations added al-Mourabitoun to its Al-Qaida and associated individuals and entities list on June 2, 2014.“The List established and maintained by the 1267/1989 Committee,” U.N. Security Council, last updated May 22, 2015, http://www.un.org./sc/committees/1267/1267.pdf/. Al-Mourabitoun released an online statement declaring al-Qaeda-aligned Belmokhtar its official leader on July 21, 2015. The statement was signed “Al Murabitoon – Al Qaeda in West Africa,”Thomas Joscelyn, “Mokhtar Belmokhtar now leads ‘Al Qaeda in West Africa,” Long War Journal, August 13, 2015, http://www.longwarjournal.org/archives/2015/08/mokhtar-belmokhtar-now-leads-al-qaeda-in-west-africa.php. signaling the group’s official alignment with al-Qaeda. Mokhtar Belmokhtar is a former commander in AQIM. He left the group to form the al-Mulathamun Battalion in December 2012.Currently Listed Entities,” Public Safety Canada, last updated March 24, 2014, http://www.publicsafety.gc.ca/cnt/ntnl-scrt/cntr-trrrsm/lstd-ntts/crrnt-lstd-ntts-eng.aspx; Country Reports on Terrorism 2013: Chapter 6: Foreign Terrorist Organizations,” U.S. Department of State, April 2014, http://www.state.gov/documents/organization/225886.pdf. MUJAO is also a splinter group of AQIM.“Al-Murabitun,” Australian National Security, accessed June 17, 2015, http://www.nationalsecurity.gov.au/Listedterroristorganisations/Pages/Al-Murabitun.aspx. Al-Mourabitoun coordinated with al-Qaeda and AQIM in its May 2013 attack in Niger.“The List established and maintained by the 1267/1989 Committee,” U.N. Security Council, last updated May 22, 2015, http://www.un.org./sc/committees/1267/1267.pdf/. Al-Mourabitoun also maintains contact with AQIM leaders, such as Yahia Djouadi, Ahmed Deghdegh, Mohamed Belkalem, Tayeb Nail, and Djamel Akkacha, AQIM’s coordinator of groups associated with AQIM in northern Mali.“The List established and maintained by the 1267/1989 Committee,” U.N. Security Council, last updated May 22, 2015, http://www.un.org./sc/committees/1267/1267.pdf/. On December 4, 2015, al-Mourabitoun and AQIM officially merged following their first joint attack in Mali the month before.“Al Qaeda group says staged Mali hotel attack in joint operation,” Reuters, December 4. 2016, https://www.reuters.com/article/us-mali-attacks/al-qaeda-group-says-staged-mali-hotel-attack-in-joint-operation-idUSKBN0TN2FU20151204. On March 2, 2017, al-Mourabitoun, AQIM, the Macina Liberation Front, and Ansar al-Dine formed the new group Jamaat Nusrat al-Islam wal Muslimeen (JNIM), which pledged loyalty to al-Qaeda.Thomas Joscelyn, “Analysis: Al Qaeda groups reorganize in West Africa,” Long War Journal, March 13, 2017, https://www.longwarjournal.org/archives/2017/03/analysis-al-qaeda-groups-reorganize-in-west-africa.php; “Challenges in Countering Terrorism in Libya,” U.N. Security Council, June 22, 2017, https://www.un.org/sc/ctc/wp-content/uploads/2017/06/Concept-Note-Joint-open-briefing-on-Libya-22-Jun-17.pdf. Despite this, al-Mourabitoun continues to act independently in its Mali attacks. Boko Haram has reportedly provided support to MUJAO.“Boko Haram,” Australian National Security, accessed June 17, 2015, http://www.nationalsecurity.gov.au/Listedterroristorganisations/Pages/Boko-Haram.aspx. Al-Mourabitoun co-founder Adnan Abu Waleed al-Sahrawi reportedly pledged the group’s allegiance to ISIS in May 2015. A week later, Mokhtar Belmokhtar rejected the pledge.Agence France-Presse, “Belmokhtar's jihadist group in N.Africa vows allegiance to IS,” Yahoo News, May 14, 2015, http://news.yahoo.com/al-qaeda-linked-belmokhtar-group-n-africa-claims-001449854.html; Reuters, “Sahara Islamist Leader Belmokhtar Dismisses Islamic State Pledge: Report,” New York Times, May 17, 2015, http://www.nytimes.com/reuters/2015/05/17/world/africa/17reuters-sahara-militants.html. On March 2, 2017, al-Mourabitoun and AQIM merged with Ansar al-Dine to form Jamaat Nusrat al-Islam wal Muslimeen (JNIM).Thomas Joscelyn, “Analysis: Al Qaeda groups reorganize in West Africa,” Long War Journal, March 13, 2017, https://www.longwarjournal.org/archives/2017/03/analysis-al-qaeda-groups-reorganize-in-west-africa.php; “Challenges in Countering Terrorism in Libya,” Joint open briefing of the Counter Terrorism Committee, the 1267/1989/2253 ISIL (Da’esh) and Al-Qaida Sanctions Committee, and the Libya Sanctions Committee, June 22, 2017, https://www.un.org/sc/ctc/wp-content/uploads/2017/06/Concept-Note-Joint-open-briefing-on-Libya-22-Jun-17.pdf. In the video declaring the merger, two of al-Mourabitoun’s top commanders were seated next to Ansar al-Dine’s emir, Iyad Ag Ghali.Mohamed Fall Oumère, “From the birth of a new "jihadistan" in the Sahel,” Le Monde Afrique (France), March 10, 2017, http://www.lemonde.fr/afrique/article/2017/03/10/naissance-d-un-nouveau-djihadistan-au-sahel_5092710_3212.html. Al-Mourabitoun co-founder Mokhtar Belmokhtar has repeatedly sworn allegiance to al-Qaeda leader al-Zawahiri.Reuters, “Sahara Islamist Leader Belmokhtar Dismisses Islamic State Pledge: Report,” New York Times, May 17, 2015, http://www.nytimes.com/reuters/2015/05/17/world/africa/17reuters-sahara-militants.html. The two groups that merged to form al-Mourabitoun, al-Mulathamun and MUJAO, are both AQIM splinter groups.“Terrorist Designation of the Al-Mulathamum Battalion,” U.S. Department of State, December 18, 2013, http://www.state.gov/r/pa/prs/ps/2013/218880.htm. Droukdel is head of AQIM, from which the al-Mourabitoun predecessors al-Mulathamun and MUJAO originally broke. He is one of the leaders with whom al-Mourabitoun maintains contact.“The List established and maintained by the 1267/1989 Committee,” U.N. Security Council, last updated May 22, 2015, http://www.un.org./sc/committees/1267/1267.pdf/. “We, the Mourabitoun group, announce the martyrdom operation that one of our knights, Ibrahim al-Ansari, undertook at the headquarters of the Nigerian forces.”Tiemoko Diallo and Adama Diarra, “Islamist group claims attack on U.N. peacekeepers in Mali,” Reuters, April 18, 2015, http://www.reuters.com/article/2015/04/18/us-mali-un-idUSKBN0N90F920150418. “[Claiming responsibility for the shootout attack in Mali’s capital that killed five: This attack was a reprisal attack] against the heathen West which has offended our prophet.”Associated Press, “3 dead, 12 wounded in attack on UN base in Mali,” Fox News, March 8, 2015, http://www.foxnews.com/world/2015/03/08/mali-3-dead-12-wounded-in-attack-on-un-base-in-northeastern-city-kidal/. “The mujahedeen will not rest with arms crossed facing this situation, even if, today, the voice of injustice prevails.”Robbie Corey-Boulet, “Website: Terror group threatens France over Mali,” Associated Press, January 6, 2014, http://bigstory.ap.org/article/website-terror-group-threatens-france-over-mali. Al-Mourabitoun is a violent terrorist group that seeks to establish an Islamic state in West Africa. The group has claimed responsibility for numerous terror attacks, including the deadly November 2015 gun and hostage attack in Mali’s capital, Bamako.